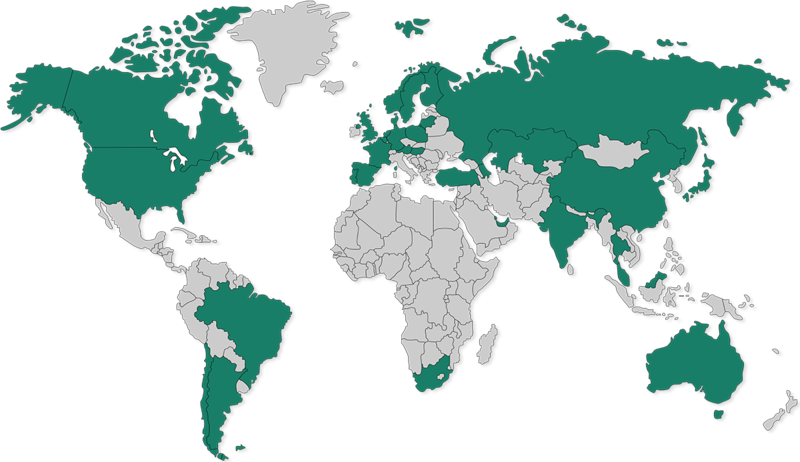 The world map provides an overview of the internationality of expertise. Established contacts to auditors, lawyers and business consultancies with specific local know-how exist in most of these countries. The short description of substantial projects in the marked countries include a tag for the relevant key emphasis (using W-S-O-R). Further details on selected projects are available on a supplementary PDF document. Excellent contact to a well-connected business consultancy in Latin America. Market entry through a majority takeover – second phase 100% takeover of a competitor through an earn-out.